There are few events more exciting than a wedding and when the season arrives, bachelor and bachelorette parties are the talk of the town. 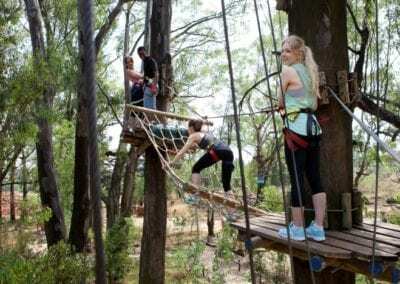 Move away from the average celebrations and opt for a trip to Acrobranch! 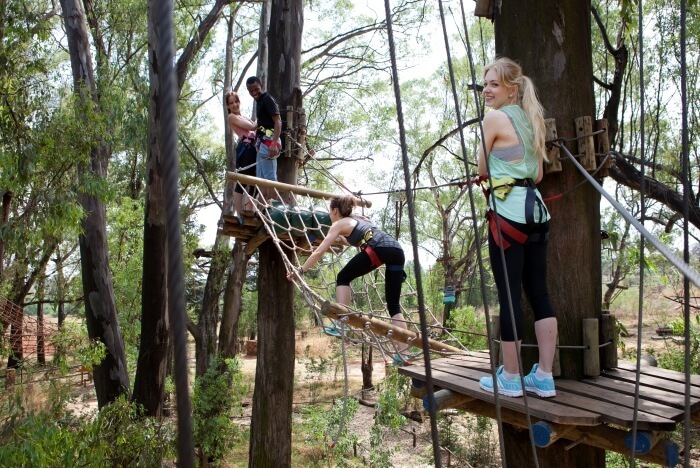 Our tree-top adventures will have your adrenaline pumping in no time, offering a unique approach to your next event and providing an experience that the bachelor or bachelorette will never forget. 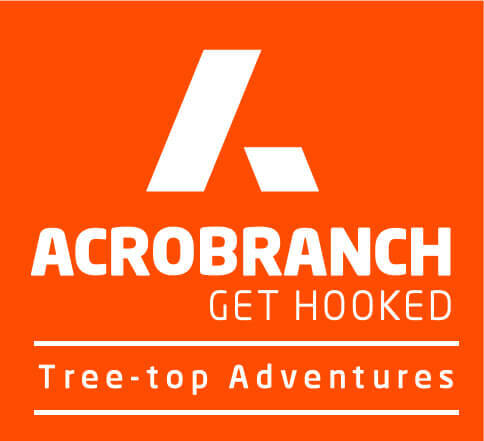 The Acrobranch experience is able to bring people together like no other team event. 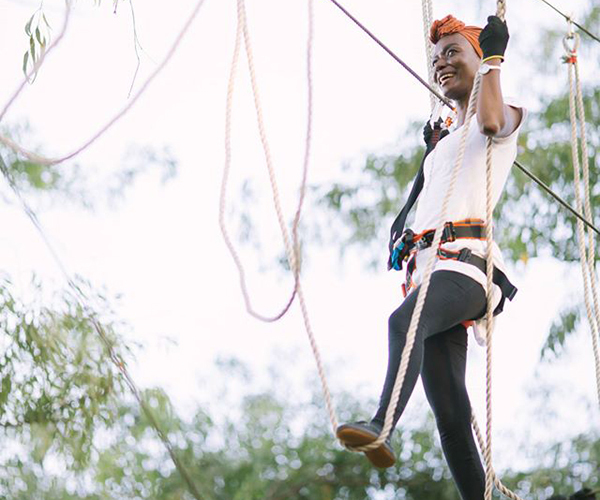 Bond with your wedding party and make sure that our Acrobranch team capture a few snapshots of the exciting day spent in the trees. With conveniently located branches in Cape Town, the Garden Route, Pretoria North, Pretoria East (Rosemary Hill) Centurion (The Big Red Barn), Linksfield (Huddle Park), Melrose and Stellenbosch , Acrobranch should be your first stop on this special occasion. We offer discounts for groups of 20 or more. There is just something about swinging from tree to tree that appeals to the imagination of most adults. 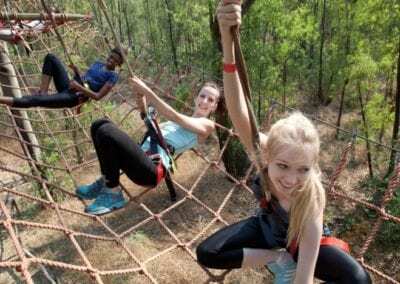 Let loose for your next bachelor or bachelorette party and balance and navigate your way through an assortment of obstacles such as zip lines, Tarzan swings, cargo nets, barrels, and more. Fun is guaranteed! 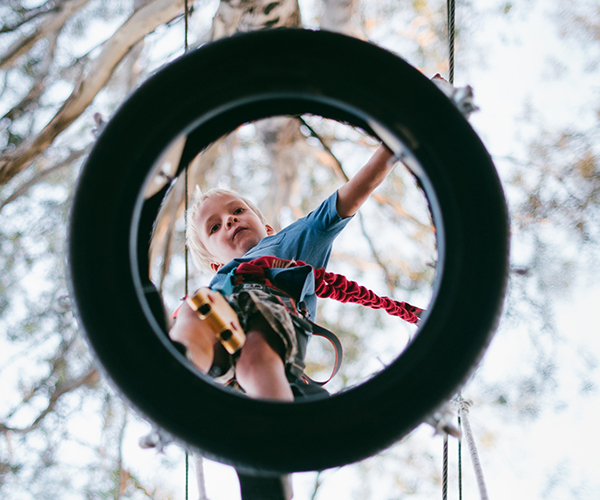 Our outdoor adventures are specifically designed to offer all visitors an exhilarating, yet challenging outdoor experience which will test your physical ability, brainpower and balancing skills. 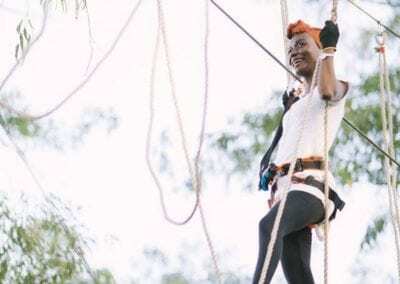 Navigate your way along our challenging courses and feel the wind in your hair as you take on the obstacles and ziplines before coming back down to solid ground with a sense of accomplishment. 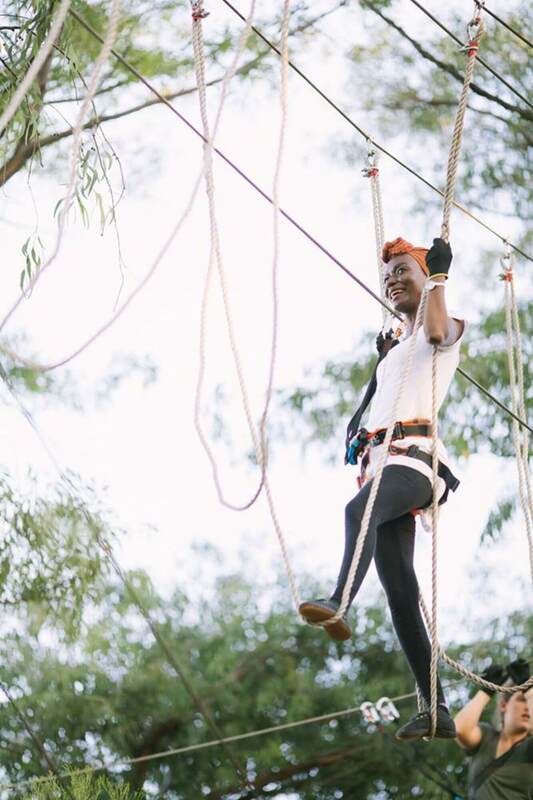 While this is your time to let loose and have the time of your life, your safety is of utmost importance to us at Acrobranch. 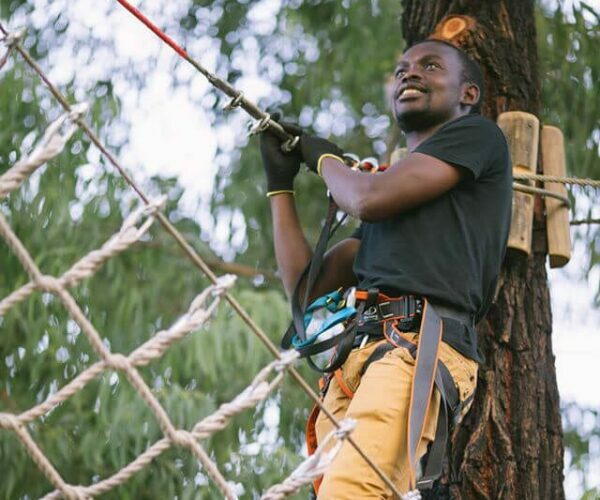 Our experienced guides will ensure that you are well versed in our safety rules and regulations before leading you through the park. We encourage each individual to take the obstacles at their own pace. 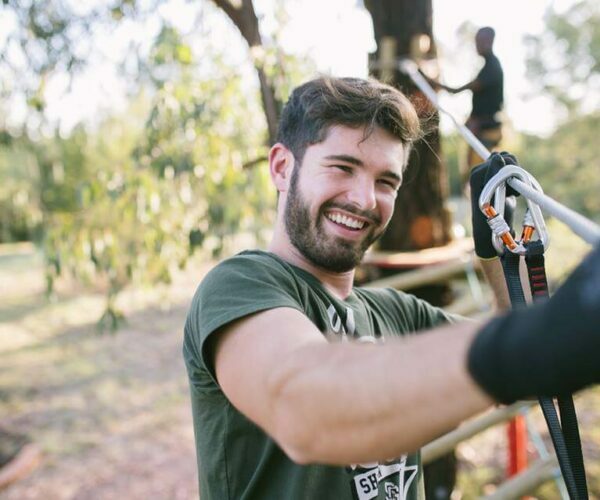 At Acrobranch, all of our obstacles, including ziplines have been designed and built to European standards and verified by European industry experts. Our safety gear is also EU marked and imported directly from Europe. 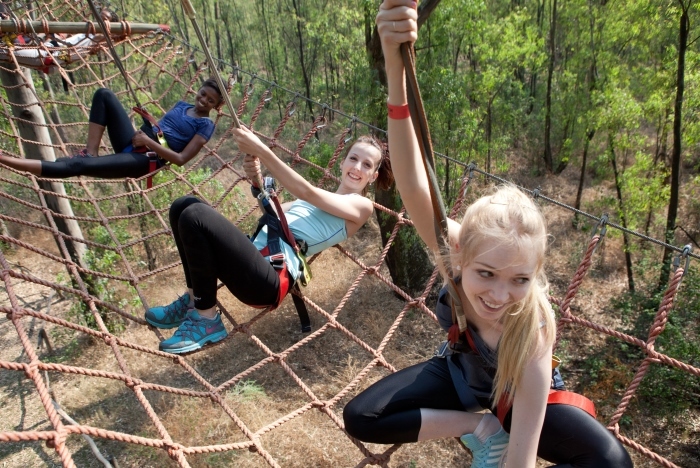 We have experienced guides stationed throughout the courses to remind you and your staff about the safety rules and ensure that you stay safe during your outdoor adventure.